A free download of The Set Ensemble’s realisation of Samuel Rodgers’ On the Verge of Night is now available on Compost and Height. 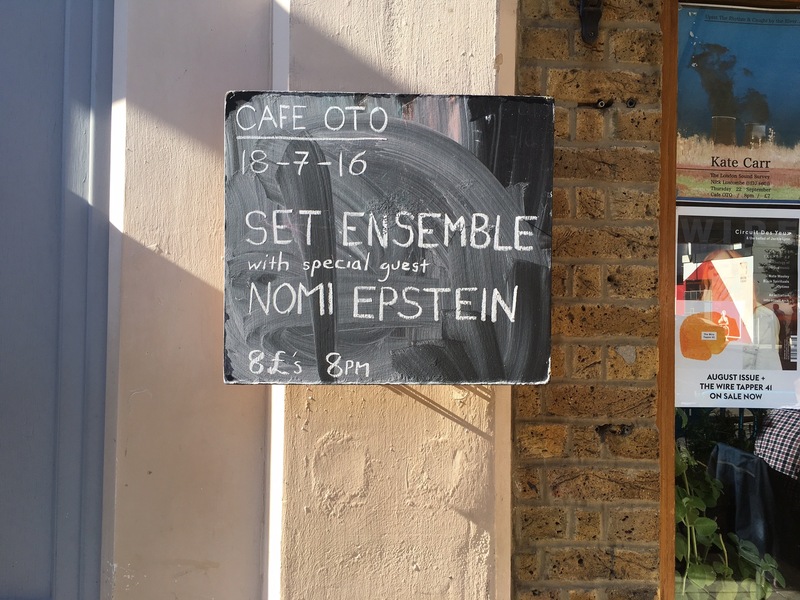 Recorded live at Cafe OTO in July 2016, the composition is performed by the ensemble with special guest Nomi Epstein. Nomi Epstein is a Chicago-based composer, curator/performer of experimental music, and educator. Her compositions have been performed throughout the US and Europe by ensembles such as ICE, Ensemble SurPlus, Wet Ink, Mivos Quartet, Wild Rumpus, and Dal Niente. In February 2015, her recent conceptual opera, Translation, was premiered by The Industry and Wild Up in Los Angeles. She is founder/ curator of the critically acclaimed, experimental music performance collective a.pe.ri.od.ic, and also performs in the experimental improvisation trio, NbN. She produced the Chicago area centennial John Cage Festival in 2012, co-produced the Chicago Wandelweiser Festival in 2014, and continues to research, write, and lecture on post-Cagean, notated, experimental music.